Earlier, business was not quite as dynamic, employment was intended for the long-term, and the idea of pay linked to performance was quite a dependable model. But as we examine the tradition of performance management in light of today's digital business models, there are a number of new questions that emerge. While there have been a number of questions about the annual performance appraisal over the last several years, many firms decided to totally abandon the decades of tradition that lay at the core of many HR processes. In 2015, Deloitte made headlines when they reviewed the evidence and considered the value of the process relative to the time involved across the management teams. Other firms like Accenture, GE and Microsoft have also taken similar actions. While there seems to be a rally-cry for abandoning the annual appraisal, it seems that it might indeed is time to rethink the entire concept of performance management in light of our digital era. Many of the HR systems and processes can be traced back to the industrial revolution when management needed systems to manage employees at a large scale. The rise of unions and workers councils required fair and consistent processes in organizations. Having a clear performance rating that was determined each year as a basis for then awarding incremental pay raises and promotions was a simple way of organizing management actions. Business was not quite as dynamic, employment was intended for the long-term, and the idea of pay linked to performance was quite a defendable model. As we examine the tradition of performance management in light of today’s digital business models, there are a number of new questions that emerge. Computer engineers are familiar with the fact that in the physical world, we deal with three dimensions, but in the digital world we can create complex relationships across many dimensions. As we consider performance management, we ask ourselves new questions related to time, relationship, job, employment, human, diversity, and progression. Let’s take a closer look at each of these dimensions. Time: The cycle of performance management is already a question. How long should a performance cycle be? While many organizations are moving away from an annual process, what is the right timing? Some digital firms are working on a monthly process or even shorter. Other questions begin to emerge about synchronizing the timing in the organization. Does the performance cycle need to be the same for everyone? What about our short-term ‘gig’ workers? Relationship: Most organizations have systems that assume that a manager works with his or her employees and has a relationship with them. However, in the digital world of work, we find that we may not share the same physical space or even meet. What type of performance management is appropriate for the virtual world? Sitting down to have a discussion about goals or performance with your boss may become an old tradition. Job: One of the basic building blocks in the HR system and in performance management is the job. We describe the job, set goals for the job holder, and estimate the value of the job to the organization. In the evolving digital businesses, people take on dynamic roles by working in teams or squads. The dynamic nature of agile environments does not have a provision for something called a “Job” as a unit of evaluation or description. How will we anchor performance management in the future when the concept of a job is not present? What are other ways we can think about anchoring our HR systems? How can we anchor performance management in the future when the concept of a job is not present? Employment: The rise of the “Gig” economy and notion of short-term engagements has raised new questions by regulatory bodies, employers, and societies about the way we think about employment. Even in traditional companies, we often see contract workers, outsourcing providers, and other agents providing what used to be “Employee tasks.” How do we address performance management when the nature of employment is less clear? Human: As the lines between human performance and machine performance begin to blur, how do we evaluate and address the performance of humans? Should we also evaluate the performance of machines? If a human creates a machine that performs his tasks with great results, how do we acknowledge the ongoing performance? While some may argue that the blurring lines of humans and machines are a long way away, many experts suggest that we are quickly progressing towards a blurred distinction. Diversity: Even start-up businesses find that they are quickly operating in a global context and must accommodate for different cultures, backgrounds, and ways of working. More established organizations are working hard to embrace diversity and inclusive ways of working as they understand that diversity can improve decisions, innovation, and quality. However, addressing and embracing diversity in the digital age in our performance management systems is still unclear. How might we create ways of addressing the power of diversity in our HR systems? 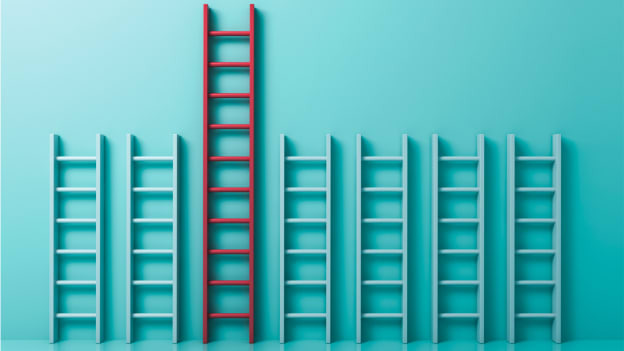 Progression: The old model of a career progression ladder was clearly understood and encouraged as people generally aspired to move “up” in an organization. As we consider the young digital talent today, the ideas about career progression may be very different. In fact, progression can even be defined as how quickly one can get out of an organization! Often times our performance management systems are also linked to career management, succession planning, and promotions. Perhaps it is time to re-think our mental models of progression inside an organization? While there are many questions about the future of performance management that have not yet been answered, it would be great if progressive human resource leaders begin considering these questions. We first need to understand the limitations of our current systems and be prepared to try new approaches. Making big changes to performance management processes and systems will have wide-spread implications for management and employees. By beginning to explore alternatives now, we will be more prepared for the multiple dimensions of our digital future.